Consultation: We want to get the big picture and the details about the outside of your home. As we take a tour of around it, I’ll point out particular features, ask your perspective and share thoughts that will help us to get a good understanding of its condition and how it got that way. Your input will help to bring focus on designing an project that meets your needs and your budget. Assessment and estimate: Based on our discussions and observations, an outline of specific steps and measures would be used as a ‘blueprint’ for generating the specifics of beautifying your home. Our estimate will cover such things as carpentry, preparation of surfaces, coatings, and other factors relating to your homes general condition and your unique requirements. Getting Started: Together, we create a working plan that includes scheduling parameters, particular concerns, and other personal preferences. So, when we arrive at your home, we are well prepared to do a great job. Other activities we do are: Obtain paint colors, purchase needed carpentry materials, and being in communication with you. House washing: House washing is normally the first step in the process of painting your home. We’ll typically do this several days prior to starting the main part of the job. We use gentle detergents and mildewcides to ensure that all surfaces are thoroughly cleaned. While we are at it, you may want us to clean sidewalks, patio furniture, and other areas. Just ask us! Preparation: We know that a properly performed exterior paint job begins with attentive and thorough preparation of all its surfaces. Unfortunately, other painting companies will speed through this process, ignoring issues that should be addressed. We take pride in being responsible to do the job right! During our estimate meeting we will focus specifically on what we propose to do and why. 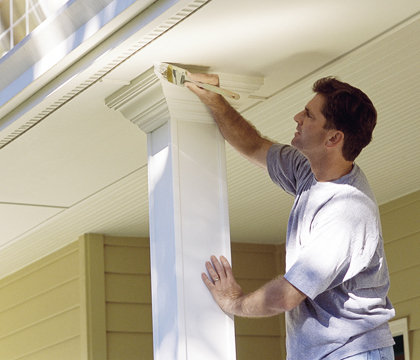 Painting: We use the best paint products in the industry for your home. We know that it just makes sense to apply the highest quality possible of primers and finish coats due to their holding power and color/sheen retention. Cleanup: The last but not least step in the process is to ensure the outside surroundings of your home look at least as good when we leave as they did when we arrived. Do I need to say more? 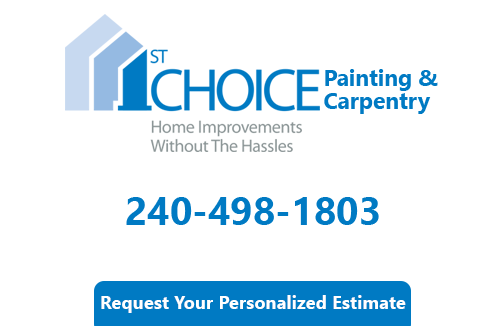 If you are looking for a exterior house painting expert in Bethesda please call 240-498-1803 or complete our online request form.